Probably one of the most exclusive neighborhoods in all of Miami-Dade County is Fisher Island. This barrier island community features some of the most beautiful and expensive homes in the area as well as the most sought after condominiums. One condominium community is Bayside Village located just southeast of Fisher Marina. 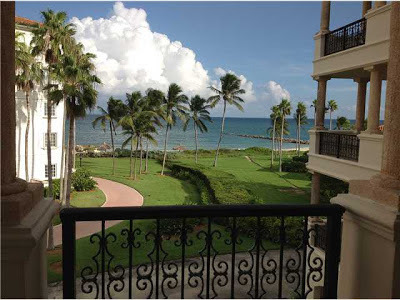 With golf course views on one side and views of Biscayne Bay and Virginia Key on the other, not to mention the tropical feel and look of the community, it is no wonder that Bayside Village is such a popular condominium community. We are very proud to announce a beautiful and updated condominium in Bayside Village at 2236 Fisher Island Drive. It is a perfectly decorated 3-bedroom/3.5-bath corner unit with balconies off every room offering views of Virginia Key and Biscayne Bay. This 2,700+ square foot unit was completely remodeled in the last quarter of 2012 with hardwood and marble floors, vaulted ceilings with dark wood beams, high impact windows and a gourmet chef’s dream kitchen with high-end stainless steel appliances and granite counter tops. The master bath is large and outfitted with sleek, contemporary fixtures that give the room a spa-like atmosphere. This is a fantastic place to call home simply because of its location but the combination with the designer furnishings and corner location of the unit make it an even better option. This unit comes with a golf cart and two parking spaces. 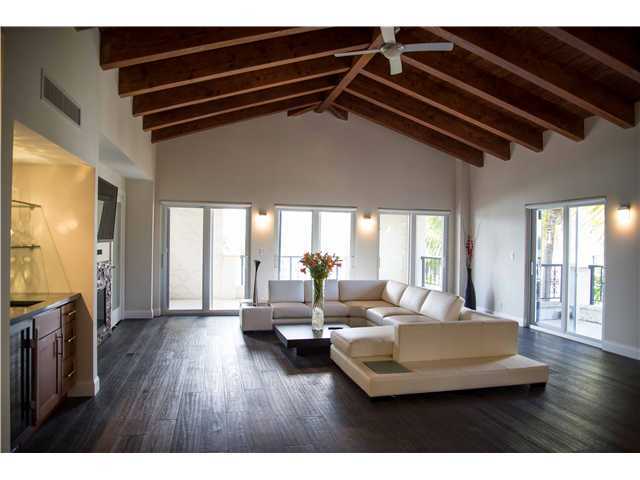 It is available for an annual lease starting March 1, 2013 at $15,000 per month (seasonal rental considered). You can find all the pictures of 2236 Fisher Island in our Miami Riches' Facebook album. While there are several condominium rental listings throughout Bayside Village and the other condominium communities, there are not many comparable units that are as nice or offer as many upgraded features and fixtures. The ability to compare the other listings to 3306 Bayside Village gives anyone interested in renting on Fisher Island a bird’s eye view of just how impeccable this residence is. This 2,700+ square foot unit is situated in the same community as Miami Riches’ Fisher Island rental listing and also features 3 bedrooms and 3.1 baths. This unit is a little closer to the Bayside Village resort-style pool and features a nice, large kitchen, large master suite with a large master bath. From the balconies and patios, bay views are available but not as prominent as in the featured listing above. In terms of the terms of the lease, it is only available until April through November at $15,000/month with shorter terms considered – definitely not for someone looking for a longer lease. 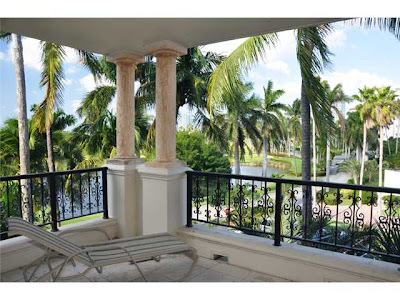 Another Bayside Village listing, this unit is the same size as the featured listing and the first comparable property. However, this one offers beautiful views of the pool and Biscayne Bay. The décor is spectacular and truly has a “model home” feel to it. The kitchen is large and features stainless steel appliances. There are hardwood and marble floors throughout the unit that lead to a luscious master bedroom and bath. The other two bedrooms are also perfectly decorated to flow with the rest of the home. One nice perk associated to leasing this unit is the golf cart available for use to travel all over Fisher Island. At $15,000 per month, the lease terms are negotiable although short term leases are preferred. 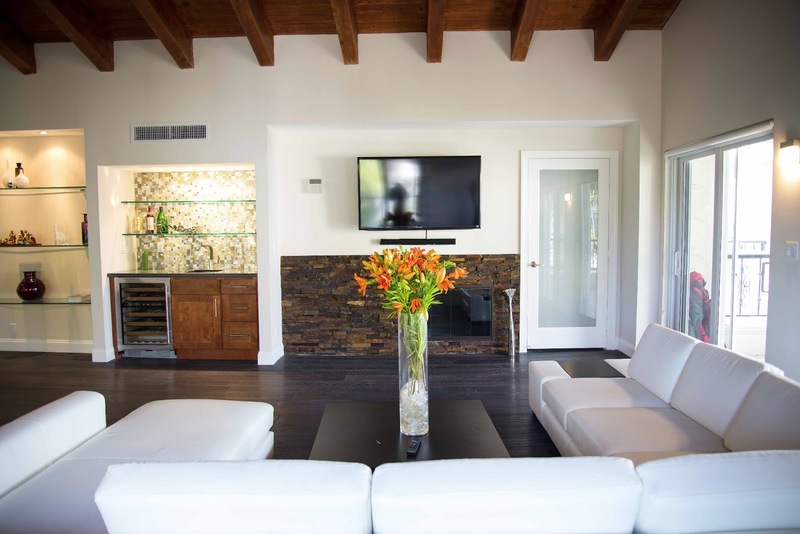 While Seaside Village is situated on the southern tip of Fisher Island and overlooks the Atlantic Ocean, the location of the unit is of the utmost importance. This elegantly decorated unit is just over 2,000 square feet and has 3 bedrooms and 3 baths. The rooms are not quite as large and spacious as those at Bayside Village nor are the views in this unit spectacular. While this is a very nice unit, it is simply not on par with the featured unit as it is much smaller and not available for a long term lease. With a monthly rent at $15,000, there are larger homes available in other communities on Fisher Island that are worth considering. This Seaside Village condo features tennis court and tropical landscape views of Fisher Island. Also 3 bedrooms and 3 baths, this unit is very nicely decorated with a more contemporary look and style. 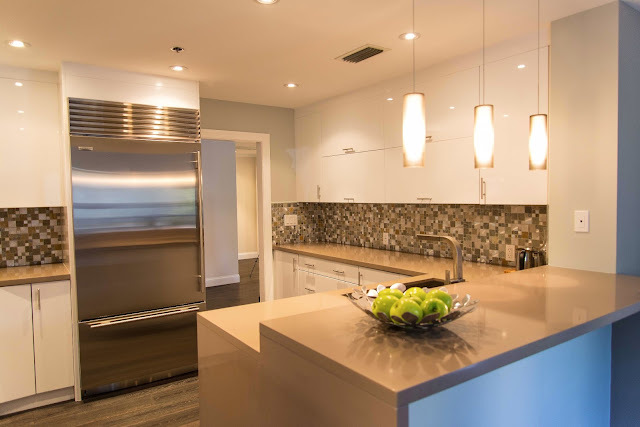 The gourmet kitchen features sleek cabinets, granite counter tops and stainless steel appliances. It is a lovely condominium but just like the other Seaside Village condo, it is smaller than the featured unit in Bayside Village and only available on short term leases for $15,000/month. Living on Fisher Island is only for a select group of people. Bayside Village is a perfect place for anyone who wants the convenience of condominium living and luxury all in one which is exactly what is offered at 2236 Fisher Island Drive, Bayside Village. Out of all the similarly priced condominiums on Fisher Island, this is the ONLY unit available for a long term lease. It is definitely a great place to call home.